Many are surprised to learn there is in fact a void in a sector of the Saskatoon downtown office market. Before I speak to that, it’s interesting to note that our 4Q17 report recorded an extremely wide range of vacancy, ranging from 0 per cent to 28 per cent. We see not only those vast differences in suburban markets but also between various downtown “A” to “C” offices classes. 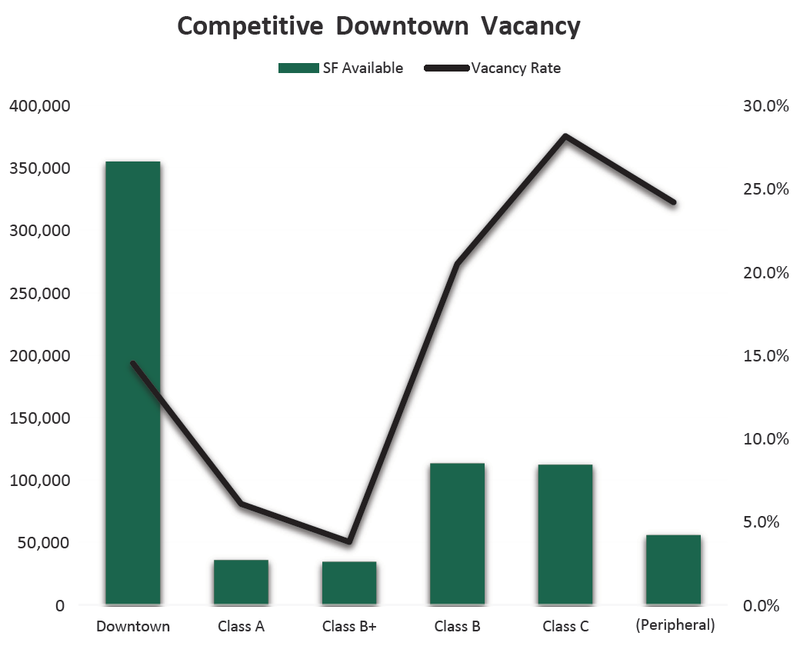 The overall 4Q17 city vacancy rate was 15.2 per cent but downtown class “A” & “B+” was 6.1 per cent and 3.8 per cent respectively. Averages just under 5 per cent typically indicate a healthy market. It explains why we see a couple of projects in the core area under construction. We have just hit the “push” button on our marketing materials for River Quarry on 4th and have been very pleased with the positive market response to this innovational project. With a floorplate of over 18,000 sq ft, it fills a much needed void. There is however an overabundance of supply in class “B” & “C” with 20.5 per cent and 28.2 per cent respectively. There are different theories to explain the disparity that exists in this downtown market. We do see a strong demand for modern office amenities and movement towards sustainability. Our survey includes seven areas outside of the immediate core. 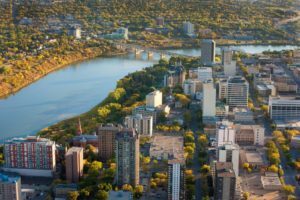 The lowest rate recorded is in University Heights with 0 per cent vacancy however the Airport, 8th Street, Stonebridge and Peripheral range from 24 per cent to 28 per cent. A slowdown in development has provided for absorption of some vacancy. Suburban asking net rental rates remain stable with an average asking rate of $18.58. The migration to quality will continue to present a challenge to landlords with existing vacancy in class “B” & “C” assets. It will be necessary for those landlords to provide incentives and building upgrades to stay competitive in the core area. As long as the pace of new development remains slow, we will see ongoing absorption of existing inventory in the suburban market over the next couple of years.